Duch Chhangmang lives in a rural village in Cambodia. He’s a father of five and a beneficiary of the Samaritan’s Purse project Seeds of Hope. Before the Seeds of Hope project selected my family as the target beneficiary in our village, we mostly depended on growing rice, raising animals such as chickens and pigs, and selling labor in the village. I always raised the animals the way I was taught, without good care or shelter. Because of that, my animals got more diseases and took a long time to mature. Eventually, my family gave up raising pigs, decreasing our already meager income. The money we made was just for food, and we didn’t have enough. When Samaritan’s Purse implemented the Seeds of Hope project in cooperation with a church based in my village, the church development committee asked my family to be a beneficiary due to my strong interest in agriculture. I have joined the technical trainings on livestock, and then I received some resources such as a pigsty, fishpond, fish fingerling, and compost home. Duch Chhangmang’s wife takes care of the pigs they’re raising now. 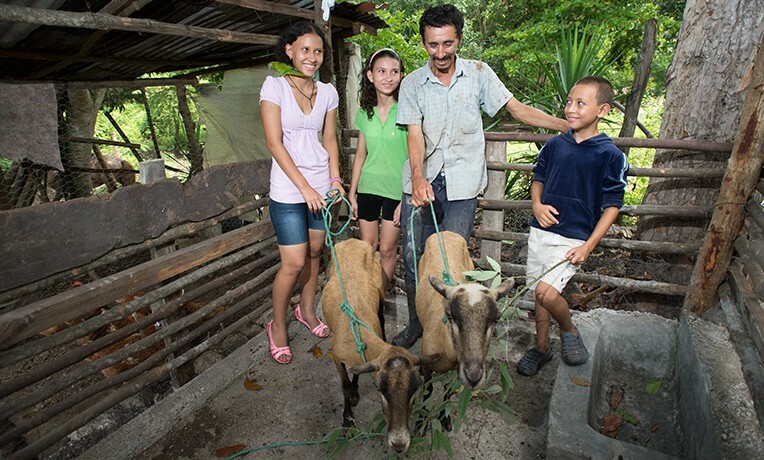 Now my family’s income is getting better and better because we can earn money from selling pigs two times per year. What is special for my family is raising fish. 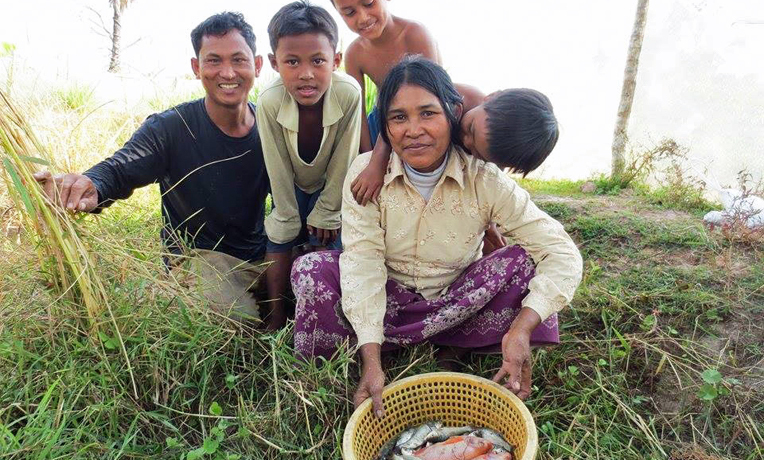 Now my family is so happy because we have fish to support us, meaning we have to spend less money at the market for food. I will continue to do more activities supported by the Seeds of Hope program to be even better than this year. Finally, I would like to thank Samaritan’s Purse for providing me with a lot of resources and technical knowledge and for making my family’s lives better and better. Thank you especially for the motivation and encouragement that led my family to know the Gospel of God. God bless you. Animals The gift of an animal can completely revolutionize the way of life for a struggling family. They are able to not only help care for themselves, but they can also generate an income by selling products such as milk and eggs at market. As an added bonus, the first offspring are given to another family in the community to help spread the blessing.